9to5Mac is reporting that Apple is testing two separate prototypes of the next-generation iPhone. These devices maintain the 640-pixel width that we’re all accustomed to. However, the screens on these prototypes are substantially taller with 1136 pixels, which is up from the current 960 pixels. In inches, this would move the height from the current 3.5-inches to a new 3.95-inches*. This new report also states that the next version of iOS will accommodate the taller screen by adding another row of icons to the home screen. Lastly, the report claims that the new iPhone will indeed have a smaller dock connector as has been rumored before. As for the math of a 1136×640 display, John Gruber of Daring Fireball digs in. He works out that 1136×640 works out very nicely to a 3.9996-inch display, which by most anyone’s standards (except for maybe NASA), is a 4-inch display. Also, 1136×640 is five-thousandths of an inch away from a perfect 16:9 aspect ratio. However, removing one pixel, making it 1136×639, does make a perfect 16:9 aspect ratio. Giving weight to these rumors, comes part leaks via MacRumors. 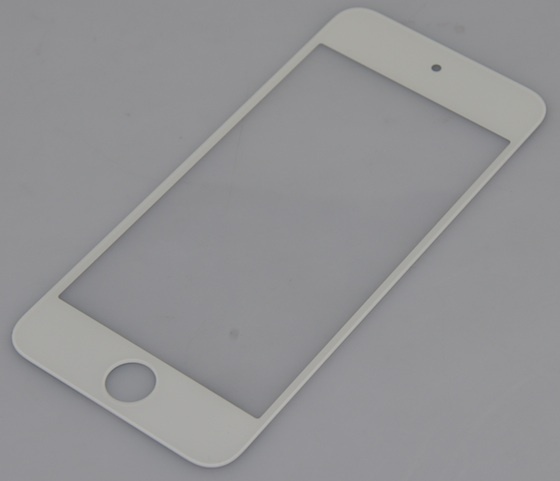 One such part is a claimed faceplate for a next-generation iPod touch. The opening in the panel measures 4.1-inches diagonally, again, very close to the mythical 4-inch mark that is making the rounds. It would be a safe bet that the new iPod touch would usee the same screen as the next-generation iPhone, and with this part having a 4.1-inch opening, there would be a little breathing room for a 4-inch display. This report also mentions other parts for the next-generation iPhone including home button flex cables, and front and rear camera modules, which look very similar to the parts used in the iPhones for last few years. The flex cable on the other hand, looks entirely new. With each new report it seems more and more likely that the new iPhone, which will presumably be introduced this fall, will indeed have a 4-inch screen. I think our first concrete hints of a new screen will be found buried in a developer build of the next version of iOS, which will presumably be handed to developers at next month’s WWDC. Until then, all evidence points to a 4-inch display. *9to5Mac later went back and reworked their math under a different assumption, and to no one’s surprise, hits the magical 3.9996-inch mark.